Flair Air (formerly New Leaf) is showing non-stop flights from Vancouver to Kelowna and Edmonton for travel in the summer of 2018 for $98 to $158 CAD roundtrip including taxes. Vice-versa trips (eg: Kelowna/Edmonton to Vancouver) are also available for $98 to $158 CAD roundtrip. For comparison, Air Canada and WestJet are currently charging $291 to $417 for the same summer flights. Yes, for 60-90 minute flights! Vice-versa trips are also available for a similar price, for anyone that wants to come visit you in Vancouver or Abbotsford. 2. Search for a flight from Vancouver (YVR) or Abbotsford (YXX) to one of the cities listed above. vancouver, yvr, flight deals, toronto, ontario, yyz, canada, abbotsford, yxx, alberta, north america, kelowna, ylw, winnipeg, ywg, edmonton, yeg, new leaf, hamilton, yhm and flair air. 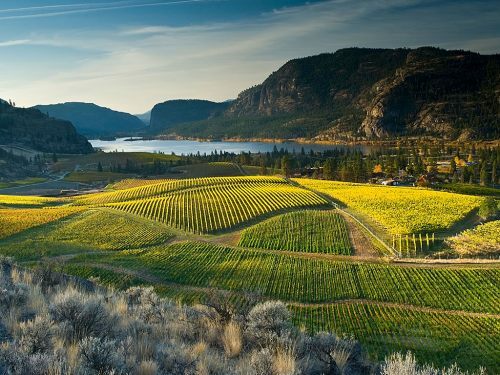 6 Responses to "Vancouver to Kelowna or Edmonton (or vice-versa) - $98 to $158 CAD roundtrip including taxes | peak summer 2018 travel"
Hmmm, interesting, thanks for the info Irina. I know Flair Air just launched a new website yesterday. It sounds like it has some issues. I see on their Facebook page someone mentioned that they were waiving the usual $16 fee for booking over the phone. I have just booked my flight to Toronto from Jun 29 to Jul 8 2018 over Call Center. They charged me $424 but it's still a nice price. Thank you Chris for information! 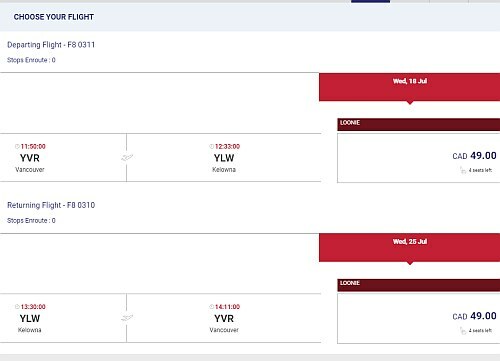 Just booked a flight from Kelowna to Vancouver for the end of January 2018. Booked online with no problems - paid $98 return. Thank you! Thanks for the info Daisy! Maybe they've fixed the payment problem. I am only getting "Payment Failed", no matter the dates I pick.